An EgyptAir flight from Paris to Cairo carrying 66 people crashed in the Mediterranean on Thursday with possible wreckage spotted off a Greek island, as investigators probed whether it was downed by a bomb. Egypt's aviation minister said that while it was too soon to say why the Airbus A320 had vanished, "a terrorist" attack would be a more likely scenario than a technical failure. Greek Defence Minister Panos Kammenos said the plane had fallen 22,000 feet (6,700 metres) and swerved sharply twice in Egyptian airspace before it disappeared from radar screens. The incident raised fears of a repeat of the bombing of a Russian passenger plane by the Islamic State jihadist group over Egypt last October that killed all 224 people on board. A Greek military spokesman said an Egypt C-130 plane had spotted floating objects that could be debris from the crash, and ships were en route to investigate. 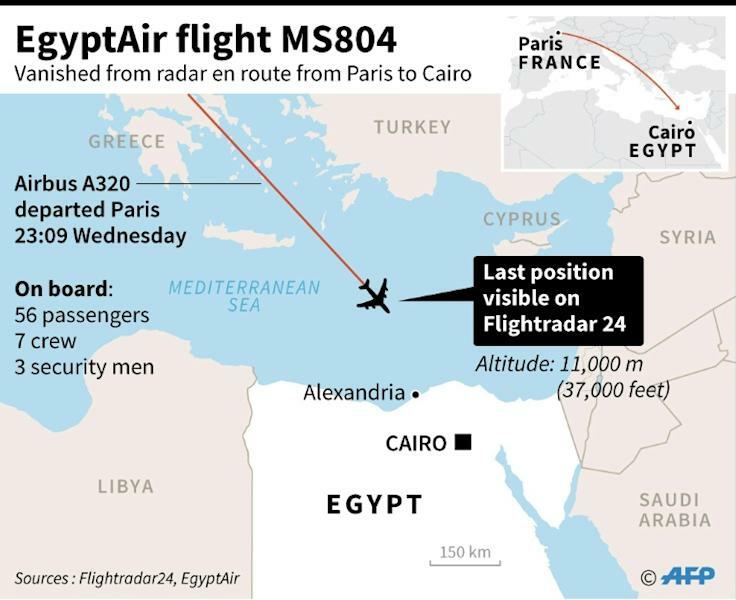 The jet had been flying from Paris to Cairo overnight when it disappeared off radar screens, without sending a distress signal. French President Francois Hollande confirmed that the plane had "crashed" and Paris said its accident department had opened an investigation. Cairo's state prosecutor also ordered a probe into the incident, a statement said, signalling suspicion that foul play could have caused the crash. Egypt's Aviation Minister Sherif Fathy said he could not rule out either terrorism or a technical problem. "I don't deny the hypothesis of a terrorist attack or something technical. It is too early," he told a news conference, adding that no wreckage had been found. "The possibility of having a different action onboard, of having a terror attack, it is higher than the possibility of having a technical" failure, he added. Egypt and Greece both said they had dispatched aircraft and naval vessels on a search mission and they were expected to be joined by French teams. Fifteen French citizens were among the 26 foreign passengers on the EgyptAir flight, who also included a Briton and a Canadian. Both France and Egypt have come under attack by jihadists of the Islamic State group in the past year and Hollande promised a comprehensive investigation into the cause of the crash as suspicions swiftly focused on a bomb. "Whether it was an accident or another hypothesis that everyone has on their mind -- a terrorist hypothesis... at this stage we must focus on our solidarity with the families and the search for the causes of the catastrophe," he said in a televised address. IS has been waging a deadly insurgency against Egyptian security forces and last October claimed the bombing of the Russian airliner flying home holidaymakers from the Egyptian resort of Sharm El-Sheikh. France earlier called a crisis meeting of top ministers as Prime Minister Manuel Valls said "no theory can be ruled out" to explain the plane's disappearance. EgyptAir said contact was lost with the flight about 280 kilometres (175 miles) north of the Egyptian coast. A Greek aviation source said the flight had disappeared from Greek radar at around 0029 GMT. "It crashed around 130 nautical miles off the island of Karpathos," the source told AFP, referring to an island northeast of Crete. 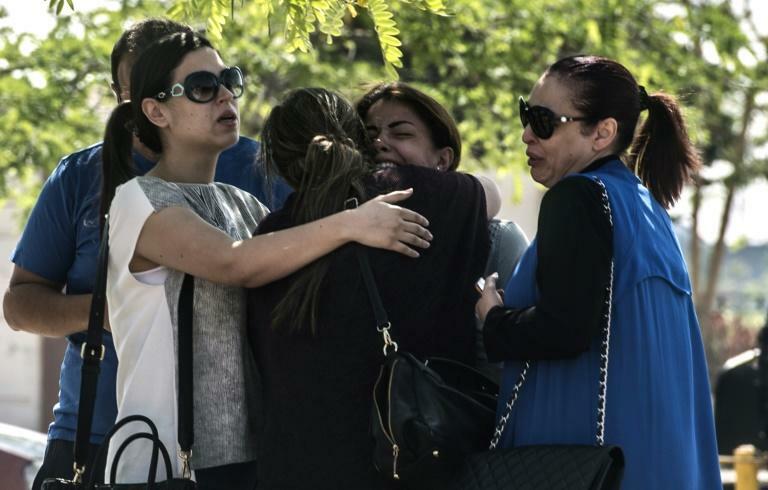 Greek civil aviation chief Constantinos Litzerakos said the pilot had mentioned no problem in the last communication before the plane disappeared, and it had not deviated from its course. "The flight controllers contacted the pilot (with the plane) at a height of 37,000 feet (near Athens)... he did not mention a problem," Litzerakos told Greece's Antenna TV. Neither the Greek coastguard nor the navy could confirm reports that a passing ship had seen "a ball of fire in the sky". The civil aviation chief said if there had been an explosion, any debris would have scattered across a wide distance. EgyptAir Holding Company vice president Ahmed Adel also said there had been "no distress call" before the plane vanished. 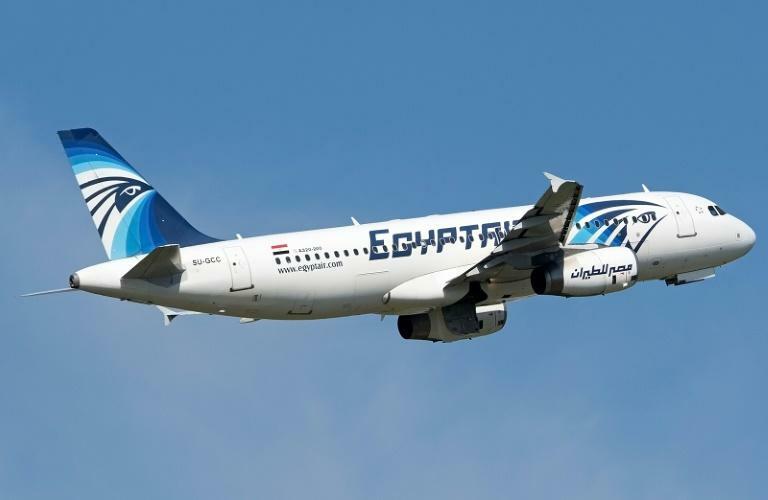 The passengers also included two Iraqis and one citizen from each of Algeria, Belgium, Chad, Portugal, Saudi Arabia and Sudan, as well as 30 Egyptians, the airline said. They included a boy and two babies. Seven crew members and three security men were also on board. EgyptAir hit the headlines in March when a flight from the Egyptian coastal city of Alexandria to Cairo was hijacked and forced to divert to Cyprus, where the hijacker, who was described as "unstable", demanded to see his ex-wife. He had claimed he was wearing an explosive vest, which turned out to be fake. Last October, foreign governments issued travel warnings for Egypt and demanded a review of security at its airports after the Islamic State group downed the Russian airliner with what it said was a bomb concealed in a soda can that had been smuggled into the hold. Pasig River's Rebirth: Will It Pave the Way for Lesser Traffic and Floods in the Country?